Salesforce has presented us with an extremely useful tool which allows the user to enable ‘Field History Tracking’. Once enabled, a history log for an object will display and is retained for a limited period. The web-based system has always guaranteed to retain your field history data for up to 18 months throughout your org, and up to 24 months if you are accessing via API or Data Loader. Salesforce is planning to enforce these retention periods within their Winter ’19 release. This means that by Spring ’19 there will be a mass delete to adhere to the timeframes outlined. Up until now, Salesforce hasn’t really followed their own rules… But, by Spring ’19 all data older than 24 months will be deleted*! So, now’s the time to think about your Audit Trail. What is Field History Tracking? Field History Tracking allows you to see the history of changes made for up to 20 fields per object. This will give you a breakdown of what the field was, and what the field has changed to. This is an extremely useful tool to keep track of what and when something was changed, and by who. 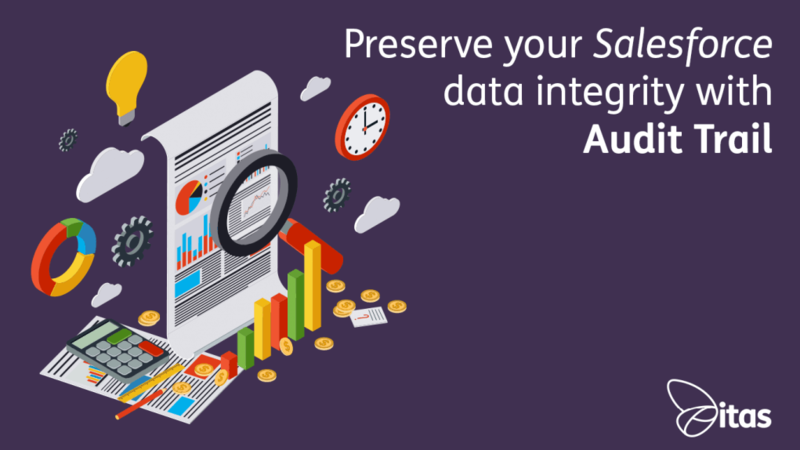 The history data is retained within your Salesforce org for up to 18 months. After this time, it is archived and accessible through API or Data Loader for up to 24 months. What happens after the 24-month period? Due to Salesforce enforcing this change, what happens after the 24-month period? Any stored field data will be deleted from Salesforce and will no longer be available to view. You won’t even be able to access it through the “getDeleted()” API call either! Salesforce has provided an option in their Winter ’19 release for those businesses who want to retain their information for longer. This comes in the form of the Field Audit Trail (FAT) add on. The reasoning behind why Salesforce has decided to make this change is to ensure high availability of data for users and, to accommodate the fast-growing data needs of their customers. If you are a highly regulated industry whom must have data available to access for long periods of time, then FAT would be highly recommended by Salesforce for your use. The FAT add on does come at an additional cost to the user, however, it means that you can decide how long your information is stored for – up to and including 10 years. It also allows you to choose up to 60 objects as opposed to the standard 20 object fields for Field History Tracking! When would you use history tracking? Within your company, you notice that details on a specific account keep being modified. You can already see who the last user was to modify the account but, you are unable to see any history on what was changed, when it was changed and by who. By enabling Field History Tracking you are able to view a detailed log of amended details. This is useful knowledge to have if you need to look back on information. The log history is kept for you to view and can also be reported on! Bank details and exchange rates being changed has a significant impact on your business. You notice that a sort code is incorrect on a Supplier’s account. The uses of this monitoring tool could aid in the prevention of fraud within your establishment. It offers you complete awareness of the happenings within your accounting system. The ability to see who changed bank details may lead you to enforce validation rules around who can edit and change certain records. To keep data or not to keep data? As standard with Field History Tracking enabled you are able to track 20 fields per object. The history of these will be stored for up to 18 months on your org and up to 24 months if you access via the API or Data Loader. After 24 months your data will be deleted and will no longer be accessible unless you have the Field Audit Trail add on. You may want to retain data for up to 10 years to keep a detailed audit log of a specific object. Information history on a specific object can also be useful to provide a business with key information showing trends throughout the years with the use of reporting. *Salesforce Orgs created before 1st June 2011 are exempt from this change. With these changes happening, businesses will need to make a decision on their retention policies and procedures… To help with this decision please check out this blog to see the importance of having an audit trail. Want to know more about history tracking? Please get in touch with us, we would love to hear from you.